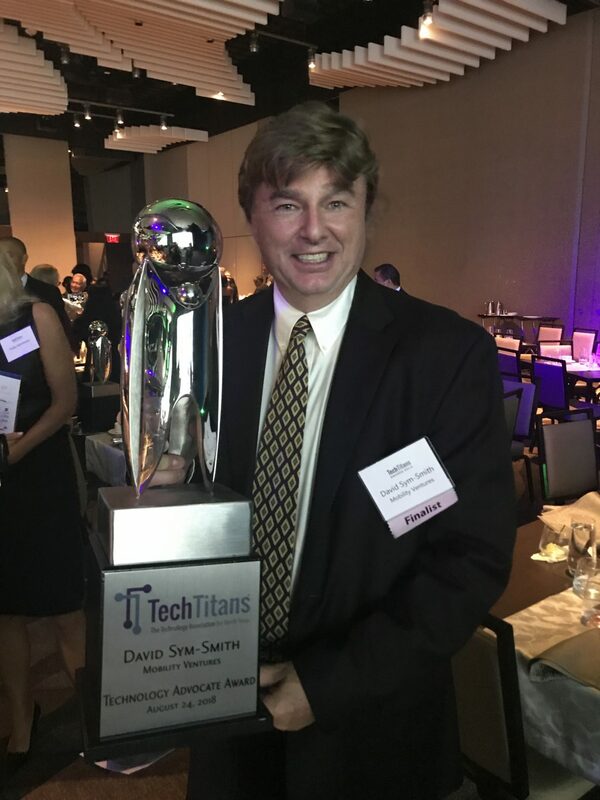 David Sym-Smith of Mobility Ventures has been a great supporter for tech in North Texas. That’s why he’s the Tech Titans 2018 Technology Advocate Winner! What are your goals as you help entrepreneurs and their companies? Teaching, inspiring, making sure that they stay motivated, trying to make sure they don’t make the same mistakes I might have learned from the school of hard knocks. It’s making sure they’re on the right path and helping them to the next steps in the process. It’s being a trusted adviser. Could North Texas be the birthplace of the next big tech innovation? I hope so. I think there are some exciting things coming out of our universities. We’ve attracted companies that are doing very innovative things. I think we’ve been challenged in that we’re not as big a venture capital area as New York or Silicon Valley. We need to make sure (startups) have the money to move forward.